Today In Ashland, Oregon - Your FREE community calendar Portal - Win an 1 Gig iPod Shuffle! 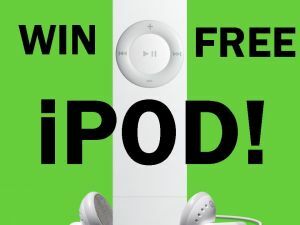 Win an 1 Gig iPod Shuffle! All you have to do is use this site, TodayInAshland.com and send a postcard to your friends. The more you send, the more chances you have to win. The winner will be notified via email and the site will announce the winner with a photograph. Enter as many times as you want. No one is excluded. Step 1: Click here to fill out the entry form. Step 2: Click here and send a postcard via email to all your friends. The goal is to get as many people as possible in <?xml:namespace prefix = st1 ns = "urn:schemas-microsoft-com:office:smarttags" />Ashland to know about TodayInAshland. If you are under 18, please get your parents approval before entering.